Call our office, (813) 818-7022, to discuss our Tick Control Service. 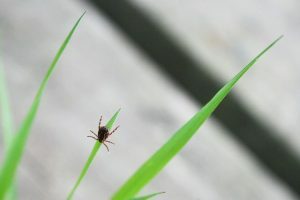 People and pets can get tick bites in areas with heavy shrubs and underbrush or grass that backs up to wooded areas. Properties without regular pest control treatments can be risky because of the possible exposure to ticks. The most frequent tick contact occurs with American dog tick and the groundhog tick. They can be found on various mammals including groundhogs, raccoons, dogs, and humans. Deer ticks and western black-legged ticks are much smaller than the common dog and cattle ticks. 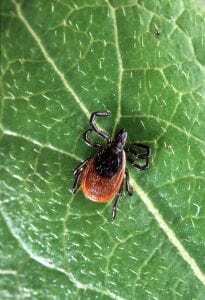 When ticks bite animals, they feed by sucking blood. 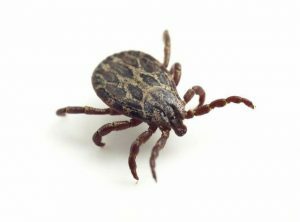 Ticks can get diseases from these animals, which include Lyme Disease and Rocky Mountain Spotted Fever. Then, ticks can pass the virus on to humans and pets. Often, emergency help should be sought right away. People who are bitten should identify the tick to help doctors diagnose the trouble. The site of the tick bite is a circular ring rash that looks like a bullseye, with a reddish outer ring and pale center. The place is warm to the touch, usually more than 2 inches in diameter. This occurs in 75% of those infected with Lyme Disease. Initial symptoms may include fever, nausea, vomiting, severe headache, muscle pain, lack of appetite. Later signs and symptoms include rash, abdominal pain, joint pain, and diarrhea. Stay out of brushy, overgrown grass and wooded habitats, especially in spring and early summer. Remove leaves, tall grass, and brush from work or play areas. This will reduce tick, deer, and rodent habitat. Wear long-sleeved shirts. Tuck pant legs into socks or boots. Spray insect repellant on exposed skin, excluding the face. Check your whole body for ticks, especially armpits, groin, and public areas. If a tick is found, remove it with tweezers and clean the area with antiseptic. A tick usually doesn’t bite until it has been attached to your body for 24 hours. So, if a tick should become attached to you, you need to remove it as soon as possible. Do not twist or jerk ticks, as tick’s mouthparts may be left in the skin. Avoid removing a tick, carefully disinfect the bite site. Wash hands with soap and water. 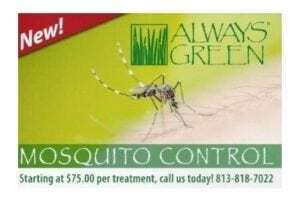 Fertilization and Pest Control for Lawns, Trees & Shrubs & Ornamental Plants,, Indoor Pest Control, Mosquito Control, Tree Injections Services & more. 20 years serving Homes, Estates, & Businesses.